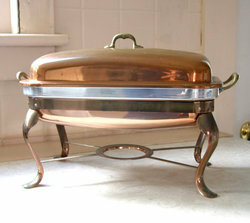 Manufacturer of a wide range of products which include brass food warmer, stainless steel food warmer, food warmer, copper food warmer and traditional copper food warmer. 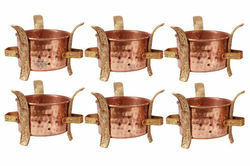 We hold expertise in offering our clients wide gamut of Brass Food Warmer. These products are designed and developed in line with the latest trends and parameters set by the industry. The range of products offered by us are widely appreciated for their safe and easy usage, less power consumer and high performance. Further, our all sizes and designs as per the customized demands of our clients. 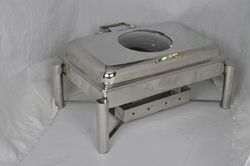 We are one of the reputed organization that manufacture, supply and export an extensive range of Stainless Steel Food Warmers. 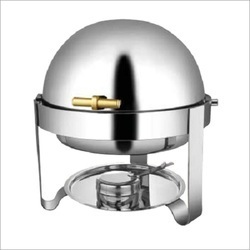 These products are available in varying sizes and shapes as demanded by our valuable clients. Our products are mainly used for heating food items in various commercial kitchens and other catering service in order to make the food hot.